The following is sadly submitted pertaining to my long time friend and fellow International Crew Member Bill Vorwald. Mr. William “Bill” Vorwald, age 70, passed away Friday, October 18, 2013. He was born February 12, 1943 in Gary, Indiana to Henry and Mary Young Vorwald. 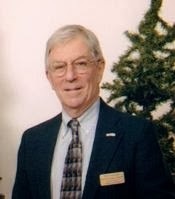 Mr. Vorwald was a resident of Walton County. He was a veteran of the Vietnam Era, serving his country in the United Sates Navy, as a Naval Pilot, having graduated from the Naval Academy receiving his Bachelor’s Degree. He worked as a commercial pilot for Delta Airlines for 30 years before retiring. He was very active in the American Cancer Society Relay for Life in Walton County. He was a member of the Choctawhatchee Military Council. He was an active volunteer for the Walton County Sheriff’s Department Posse. He also worked for the Supervisor of Elections in Walton County for 5 years. He was instrumental in creating the Veterans Wall at the Walton County Court House. He was a past member of the Rotary Club. A celebration of life service will be held at a later date with interment at Barrancas National Cemetery with military honors by the United States Navy. Mr. Vorwald is survived by his loving wife of 47 years, Rae Vorwald.